You are here: Home / News / Spoof Email – Did you know? Spoof Email – Did you know? 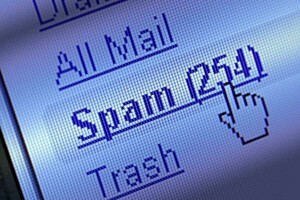 Spoof emails can be a major problem for unsuspecting Internet users. Claiming to be sent by well-known companies, these emails ask consumers to reply with personal information, such as their credit card number, social security number or account password. Forms requesting personal information within the email are a clear indication of Spoof. Do not respond to these. The “From” field of an email can easily be altered – it is not a reliable indicator of the true origin of the email.